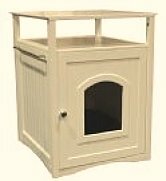 Cat litter furniture and accessories come in a variety of styles, colors and prices that appeal to any cat owner. Not all of these items are necessary to prepare and maintain a healthy and fun home for your cat, but they sometimes help to make things a little easier, such as the cat mat, or even add to your decor, such as the designer litter box. The cat litter furniture and cat litter accessories we will be discussing includes cat mats, scoopers and designer cat boxes. No matter your sense of style or budget, there are products to match everyone's tastes and preferences. Cat mats are an essential cat litter box accessory used for reducing the mess that is caused by cats tracking kitty litter out of their litter box. These mats are designed to spread your cat’s toes after they come out of the litter box, causing the litter to fall on the mat. Cat mats come in various colors, materials and price ranges, from bold patterns to neutral designs; we have two pink ones for our girls. These mats work well with both open and closed boxes, because even with closed boxes, even though the tracking is less, there may still be some tracking. Cleaning is easy – you just pick up the mat and shake it out into a trash can or even outside. Most have a clear, non-skid backing, so it will stay in place. Some styles claim to be absorbent and keep liquid from soaking through. The cheaper cat mats are usually smaller in size and are meant to go just outside of the litter box, and most of the cheaper ones are woven with plastic. 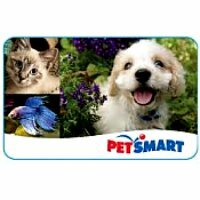 There are also softer and larger cat mats available with a higher price tag, but they're usually still under $20. They are large enough to place your cat's litter box on top. They are woven with softer materials like polyester that offer more comfort to cats while still effectively opening up cats' paws and leaving any litter behind. 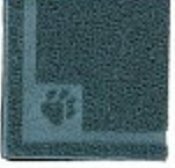 Another advantage to the cat mats with the softer materials as opposed to woven plastic ones is the fact that they are machine washable. Most soft cat mats are designed to still be thin enough to allow you to trim it for a custom fit under or around your litter box. We have tried several cat mats in an attempt to reduce kitty litter sweep up time and found that the bigger mats work much better than the smaller ones. We also like the material ones way better than the plastic and so do our cats, not only can you wash the material ones but you can also vacuum them, which really makes clean up a lot easier. A scooper is perhaps the most important piece of cat litter accessory that you will need and purchase. Scooping your cat's litter daily helps to keep their litter clean and reduce or even eliminate cat litter odor. Scoopers come in both plastic and metal. When purchasing a scooper, the most important features to keep in mind are the material, size of teeth or blades and the price. You'll also want a scoop that scoops well, has a strong handle, and is easy to clean. The scooper helps to make your daily duty of scooping the cat litter a little easier. Scoopers also typically come with a hole on the handle for easy storage. Most models are fairly inexpensive, starting out at just $4 a piece. They have a short handle and a grid-like design that allows the kitty litter to pass through easily when used while still catching clumps. Some of the cheaper models have smaller blades, which are much more difficult to clean. When it comes to buying a scooper you may want to spend just a few dollars more to purchase model that comes with larger blades and even a caddy to keep the scooper in. More sturdy scoops are usually priced around $12. Meanwhile they even have fancier designed scoopers for as much as $24, but honestly the cheap scooper, preferable one with larger blades gets the job done. We like scoopers that have a longer handle, so you don't have to strain your back as much when you bend to clean the litter box, we also find that plastic scoopers are much easier to clean. Designer cat litter boxes are a fun cat litter furniture that you can purchase in different styles, colors and price ranges. Price usually range from $100 to $500. If you have a larger budget, you can invest in a more stylish piece of cat litter box furniture. Most of these hideaway litter boxes are hard to distinguish as actual litter boxes. They work really well if you have limited space, such as in an apartment, or if you want to add a stylish yet practical feature to your home. Litter box enclosures are available with a carpeted exterior, allowing cats to lounge or play on top of the box. Enclosures range from around $100. They are great for both single and multi cat household. Using this type of cat litter furniture is a great way to hide the litter box, meanwhile giving your cat a place to hang out and lounge. Some cats even use the exterior of the box as their own personal scratching post. There are also cabinet hideaways that make great cat litter furniture, because they not only hide the litter box, but they also add to your decor. This allows you to place the litter box in any room in your home, where you feel it fits and is still accessible to your cat. There are also night stands and side tables that start as low as $85, that do a great job of hiding the litter box. 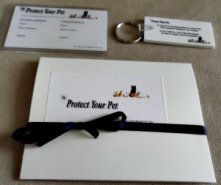 You simply place your standard or automatic litter box inside, and your cat will have access to it through a door on the front of the cabinet or the front of the night stand. Other cabinet-like products are marketed just as tables to be placed in the washroom, where added features like a towel bar and shelves allow for additional storage of bathroom or cat items. Benches are also available for under $200. These designer cat boxes are usually available in several different looks such as: dark mahogany, espresso, natural wood grain details, etc. They come with a sleek and easy-to-open lid, yet sturdy enough to be used as extra seating. You can also add a cushion or cat bed on top for your cat to relax on. The door is usually featured on the side, so your house guests will not realize it's a litter box. Multi-functional cabinets are also available, such as the all-in-one centers, which offer versatility of a cat bed, food center and litter box all in one place. The all-in-one is definitely one of the more expensive pieces of cat litter furniture, prices start at a steep $520. The choices do not stop there, especially if you have more money to invest in cat litter furniture. If your budget exceeds $700, you can find entire hutches that offer storage large enough to fit a television inside. These can be especially helpful if you don't have enough space for several pieces of furniture or if you just enjoy multi-use items. However most of these larger pieces of furniture have the cat entrance and exit higher up than the smaller cat litter furniture, which may make it harder for older cats to get in and out of the litter box. The side-by-side styles of cabinets are a good fit for your home if you have multiple cats. They usually have a door on either side of the cabinet and houses two different and relatively large litter boxes. The top of the cabinet can be used for home decor, such as a lamp or picture frames. This type of cat litter furniture comes in a variety of colors and stains, so it’s easy to match the current furniture in your home. Designer cat litter boxes is just one type of litter box, to find out about other types read Cat Litter Box: Which One Will Your Cat Love And Actually Use. There is an overwhelming array of cat litter furniture available for purchase in stores and online. Remember, as always, to buy the products that best suits your cat, since they have to use it.There are also self cleaning catlitter boxes that help to eliminate the dreaded daily scooping, to find out more about these types of litter boxes visit Self cleaning cat litter box reviews. 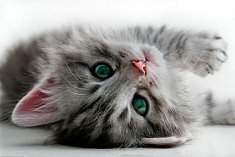 Fresh Step Cat Litter - An unbias review of Fresh Step Cat Litter.